designsbyambershaw: New Release..."Happy Go Lucky"
Today's Pickle Barrel release is smile-inducing. I guarantee it. Amber's called her kit "Happy Go Lucky" and it is absolutely full of happiness. The CT has created some really beautiful pages to inspire you. 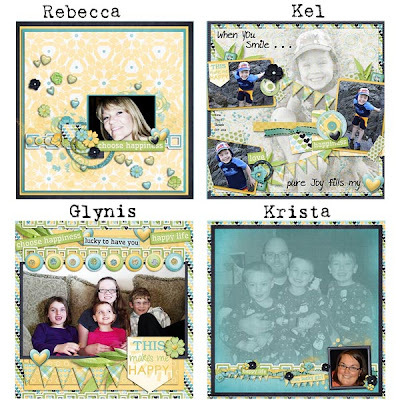 Remember that Pickle Barrel kits are a great way to mix and match the pieces that you like for a great price. Individual sets are just $1 each! Click here to start shopping. Have a wonderful day!